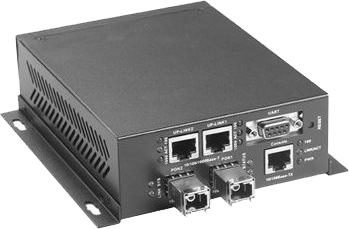 It offers two fixed SC PON ports and two Gigabit uplink ports. Each PON port supports 1:32 optic distribution, total 64cs ONUs access. It meets China Telecom EPON standards CTC V2.1, supports to work with different manufacturers’s GEPON system which also meet CTC standards.It works with HA7200, HA400 series ONUs and passive optical splitter, to establish a passive optic network.